In 2014, Pomona stormed the Orange Tree, turning the previously staid venue into a place of both lauded theatre revolution and disgruntled walkouts. Could Alistair McDowall repeat the feat at the more progressive Royal Court? X should certainly prove as divisive, with a labyrinthine, genre-hopping structure even less resistant to easy answers. Pinning this play down is like trying decipher clues to a cryptic crossword whose grid has just morphed into a fish. The entire first half is dismantled by the second, innocuous exchanges shape-shift repeatedly, and we lose our anchors, one by one, along with McDowall’s characters. If ultimately a more cerebral than visceral experience, it’s a singular leap into the unknown. 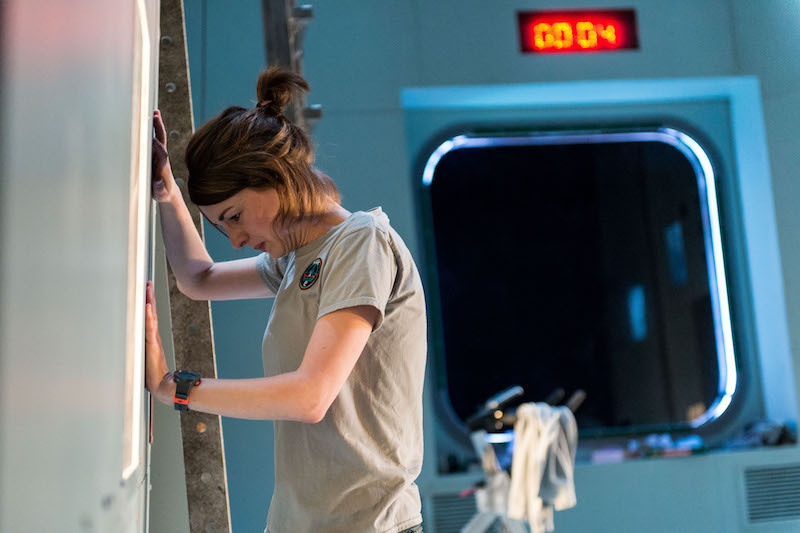 This entry was posted in Journalism, Theatre and tagged alistair mcdowall, astronaut, drama, jessica raine, london, play, pluto, review, royal court, sci fi, science, space, theatre, time, x. Bookmark the permalink.